The new Kraft in Color collection is so delightful and fun. It's one of those collections you just want to sit and look at all day! 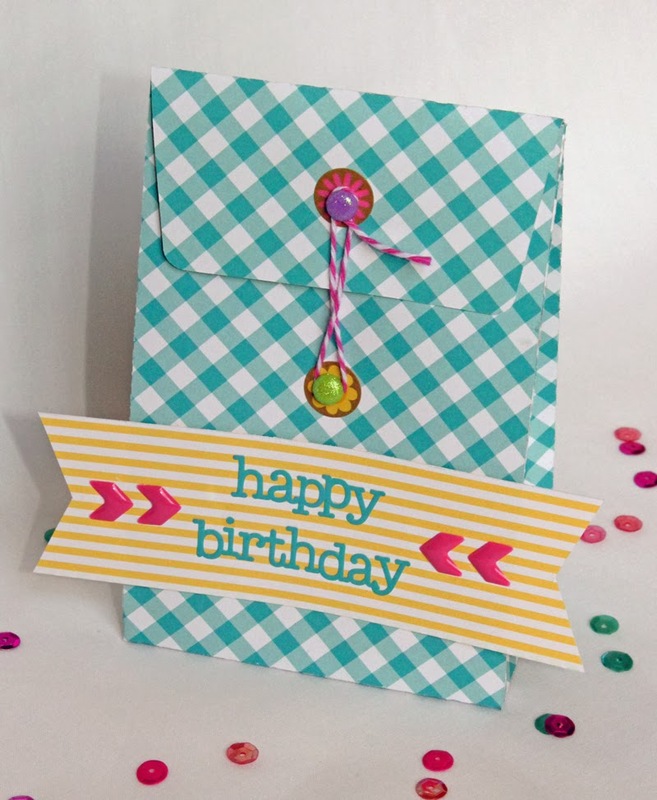 It was hard to cut into it but I did and created this birthday card and gift bag set. A couple of the new items I really wanted to feature on my project are the sequins and the expoxy sprinkles which are so much fun to use! Adorable!!! 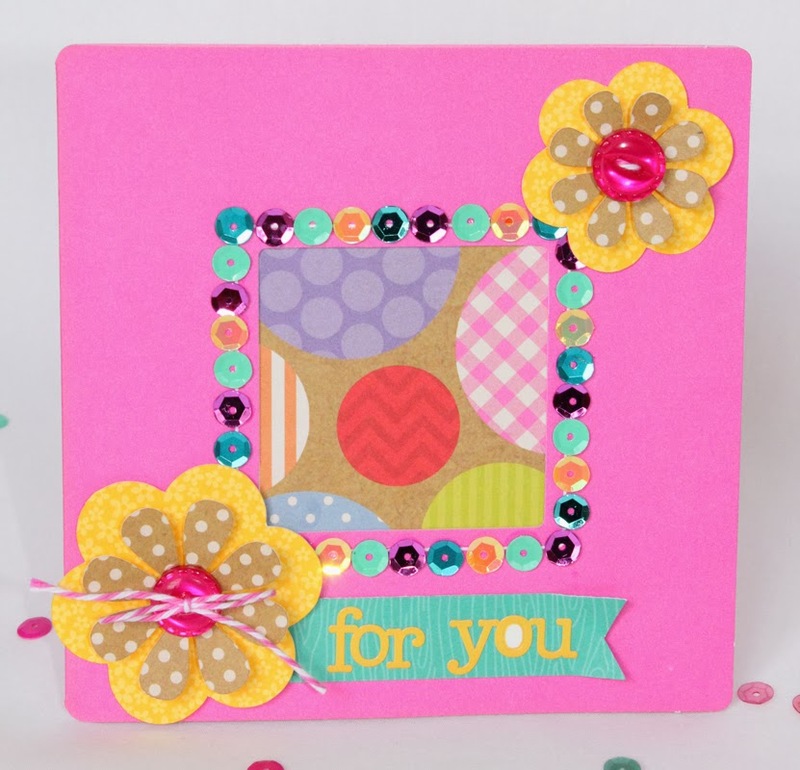 Love the sequin border on the card!! Looks so good! WOW your card and bag turned out so beautiful. The colors are gorgeous and the bling is wow. you really outdid yourself here. Love it so much and I really love the paper etc. Great job!! I love the sequin frame, I'm wondering which glue your designers use to hold the sequins in place so they don't just pop off. 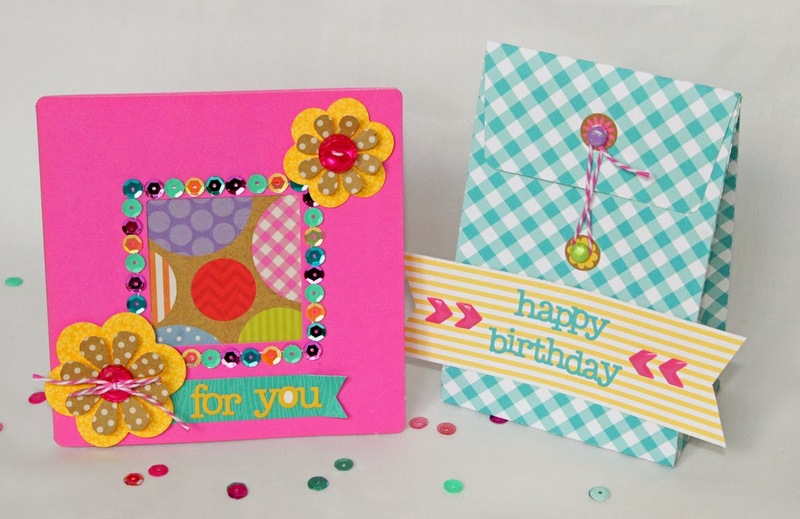 Both projects are absolutely gorgeous, love the whimsical colors!